The summer tourism season is in full effect! It seems that every area of the island is buzzing with activity. Lodgings are almost fully booked, restaurants and bars are packed with cheerful visitors and islanders alike, and the lake shifts from blue to turquoise, depending on the presence of storm clouds in our area – a beautiful sight to see! Kelleys Island certainly enjoys its reputation as a relaxed, family-friendly destination for discovering natural beauty and rich history. What puts us on the map is our stellar team of people who work to provide fun and enrichment for our visitors each year through the annual events we stage. The festival occurred July 13-14, the theme was “Dog Days of Summer,” and it included a canine component. On Saturday, July 14, Barb Knapp, Dog Warden Humane Officer of Erie County and longtime islander, facilitated dog adoptions in Memorial Park, Downtown Kelleys Island. Festival attendees had the opportunity to meet adoption-eligible dogs and apply to be their forever parents. The Erie County Dog Warden’s presence at Island Fest aimed to raise awareness about dog adoption and care, as well as the services provided by the office of the Dog Warden. The event yielded three dog adoptions! 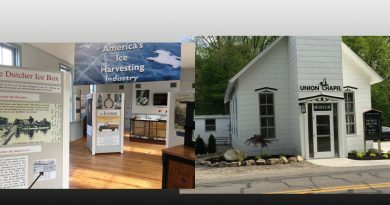 Additionally, Island Fest featured Ohio-based artisans, crafters, food vendors, a beer tent, evening street dances, a parade on Saturday, afternoon live entertainment and fireworks at dusk. Our community rallied to raise $10,000 in donations that were used to fund the fireworks display. Next on the summer agenda was Film Fest, which took place July 27-29. Blockbusters like “Black Panther,” “The Greatest Showman,” “Despicable Me 3,” “Wonder Woman,” “Coco” and “Star Wars: The Last Jedi” played on a state-of-the-art large screen with new projector (c/o The Party Company) at the Kelleys Island Ballpark for a very happy audience. Licensing fees for the films were donated by members of the community, but the lion’s share of the funds were graciously provided by Hancock-Wood Electric Cooperative, A Touchstone Energy Cooperative. With their $5,000 contribution, we were able to fund our operating costs. We look forward to partnering with Hancock-Wood for future island initiatives and events. Other donations we collected for Film Fest will be allocated to the Chamber’s health and infrastructure. For example, we are currently investigating new software that will help us streamline data entry, communication, and record keeping. 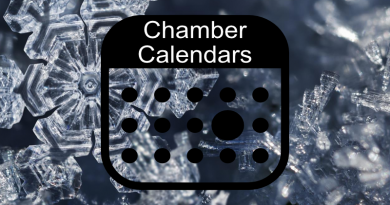 We strongly feel that adopting new systems and processes that keep pace with new technology (and other Chambers across the country) is crucial when it comes to supporting our members’ business needs. The circus came to the island Aug. 6 and 7. For their 80th anniversary, the all-new Kelly Miller Circus season presented a more intimate show, with audiences positioned no more than 50 feet away from the action. This year’s show was also exotic animal-free. Special thanks to the Kelleys Island Ferry Boat Line, who generously transports all circus performers and personnel across the lake for us each year. 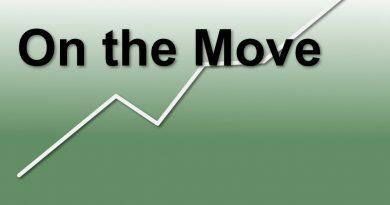 This event is an island favorite and the Chamber is proud to coordinate it. Our next big event is Treasure Island Day, which will occur on Sept. 8. Attendees can spend the day seeking out treasures in this island-wide yard sale sponsored by the Chamber. It’s a great way to score some unique finds and see the island. Sellers can participate for a fee of $20 and will receive a kit that includes advertising, pricing stickers, a Treasure Island Day yard sign and designation on the official Treasure Island Day map. Maps will be distributed at the Island Market and Chamber of Commerce office at 9 a.m. on the day of the sale. each participant must purchase their own $5 permit from the Village Office. You must acquire your permit at least 48 hours prior to the start of the sale. Please be advised the Village will report any sale operating without a permit to the State of Ohio. 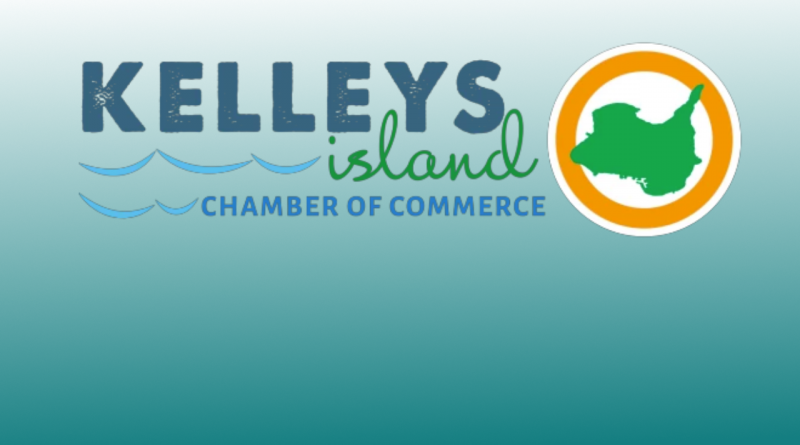 If you’re interested in selling items, please register by visiting our site, kelleysislandchamber.com under the events tab. Click on the Treasure Island Days event and scroll down to find the form. 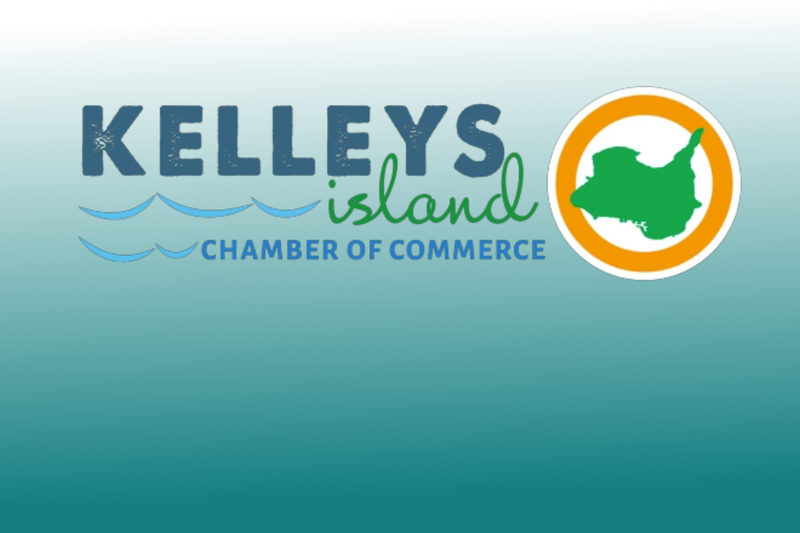 Jordan Killam is office manager for the Kelleys Island Chamber of Commerce and Visitors Bureau, One Seaway Marina, Kelleys Island, 419-746-2360, kelleysislandchamber.com.